The twelfth episode of the Yes Music Podcast featuring the eleventh studio album, ‘90125’. Is this a Yes album? How did Yes come to be the sound of the 80s? Is there any classic Yes in this album at all? Proof of the catalogue number! 90124 is an album by Trevor Rabin consisting of previously unreleased demos and session work prior and during to his time in the progressive rock supergroup Yes. The name 90124 (as well as the cover art) references Yes’ 90125 album. Cool! Thanks so much, Greg. I will definitely check it out!! Kevin this is the most enthusiastic I’ve heard you about any of the Yes albums up to this point in the podcasts! 90125 might not have any heavyweight prog epics, but it’s great fun to listen to, and an exciting snapshot in time. I agree with you – thank goodness for Trevor Rabin! Thanks Ben! Indeed – where would we be now without 90125? Not writing comments on this website, that’s for sure! Shame. It’s a great song. I understand though… Pity radio doesn’t play classic stuff! There’s a lot to choose from… In fact, there’s an episode idae there, so thanks! 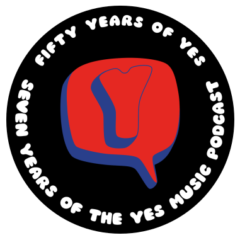 Previous Previous post: What are your Yes music champagne moments?